Switch business energy today to significantly reduce your energy overheads. 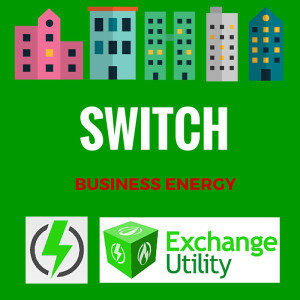 Don’t miss out on our superb business energy savings with our “switch your business energy comparison services.” We will save you the hassle of having to compare business energy suppliers within the industry and find you the best business energy quote available! Simply fill in the form below or give our team a quick call on 0800 9777 000 and switch your business energy today. 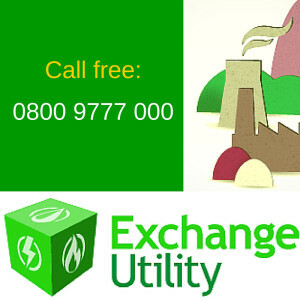 If you are looking to switch business energy to help you reduce your business energy costs, choose Exchange Utility for the fastest switching service, friendly advice, and professional services. We are gas, water and electricity comparison experts, helping thousands of businesses reduce their utility bill rates. Thanks to our experience within the industry and massive buying power, we can source the best deals for your business. Our trained staff can guide you through the somewhat daunting process of utility management and take the stress away from making the switch to the cheaper rate. We understand today’s energy customers have a wealth of options available for deciding who to turn to for managing their energy supply. Having the choice of companies with competitive prices is a good thing, but it can seem like a challenge to carry out research and any negotiations with these companies. Thankfully, Exchange Utility provide you with an impartial, personalised service regardless of what size business you have. We guide you through the whole process when you switch business energy. By constantly carrying out research within the industry, we aim to get the best possible quotes from the market. We combine this with a professional, honest and independent approach to delivering you the best business switching service to you. Check out our many customer testimonials from our services page to find out what our customers have to say and how we go the extra mile, leaving no stone unturned when it comes to helping businesses save money on their business utility bills. Switch business energy now to find savings on better tariffs based on your business usage – you could be overpaying your gas and electric bills. To get started and enable us to prepare an accurate comparison for you, we will need some information from a utility bill. This will be your customer number, bill period, payment amount and tariff information. Not sure where to get this information or have any further queries? Give us a call for free on 0800 9777 000, and we will help switch your business energy and with our staff giving the very best advice and cost effective business solutions.